News from LMCU: LMCU Mortgage comes to Saginaw! LMCU Mortgage comes to Saginaw! We’re stretching out to make our guaranteed low mortgage rates available to the east side of the state. Lake Michigan Credit Union has opened its newest mortgage office in Saginaw, located at 4215 Fashion Square Blvd. 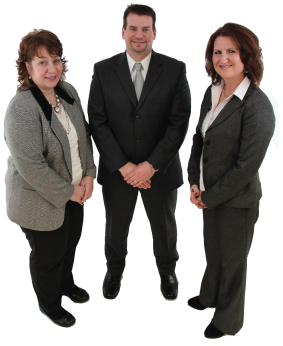 This office is staffed by (pictured from left to right) Tracy Reimus, new v.p. of mortgage sales, Pat Rokosz and Annette Dorey.